The cute cuddly little animals hugging trees easily become the object of everyone’s affection. Koalas are found in eucalyptus forests of Australia. Did you know that many people believe that they are related to bears when in fact they are more closely related to wombat and kangaroo. 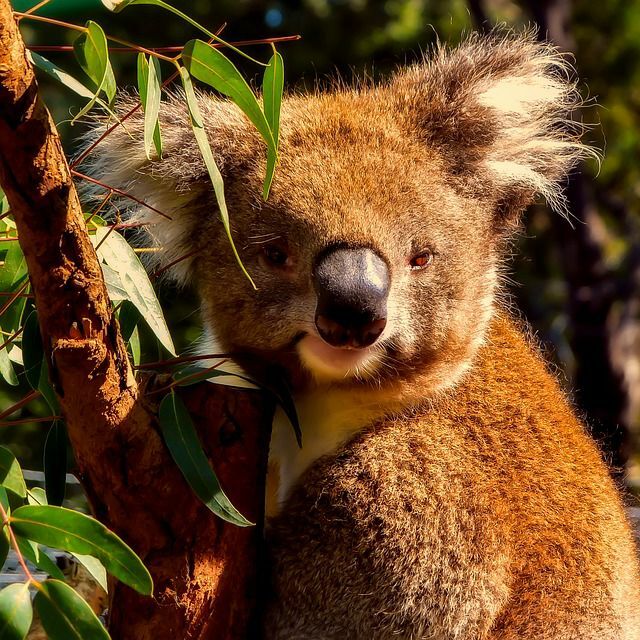 Check out 10 more of these cool facts about Koalas. In Aborigine language, ‘Koala’ actually means “no water” or “without water” which stands true for these little animals. They do not drink much water. They receive most of their water requirements from the leaves of the trees they eat. Koalas are known to be nocturnal creatures. This is because they sleep for over 18 hours in a day. This is one reason their brains have adapted to the sedentary lifestyles and they can survive on a diet that lacks nutrition. When it comes to lazy lifestyles, it is hard to beat koalas. But what’s more interesting is that they eat a lot for their lazy lifestyle. They can eat around one kilogram of leaves in a day and then store some in their pouches for snaking later. What’s the difference between the fingerprints of a human and that of a koala? 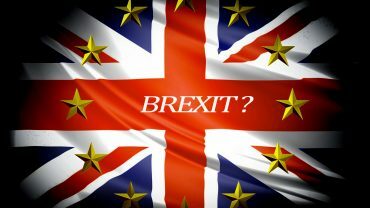 Virtually none! They look so much alike that they can easily be mistaken for each other. The reason koalas hug trees is to cool themselves. Thermal cameras have shown that when the weather gets warm, koalas move to lower part of the trees and press themselves against tree trunks to cool off. 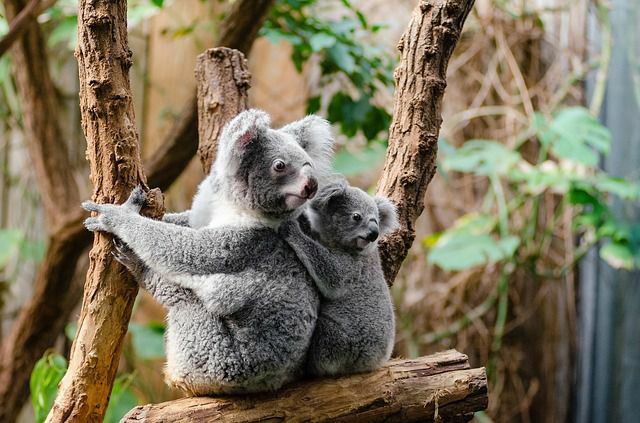 Koalas are equipped with strong arms and legs as well as sharp claws to move in the trees. Their thumbs also enable them to get a good grip when climbing trees. But in spite of all this, they ate still clumsy animals. However, they are excellent swimmers and can cross rivers to escape flooding. 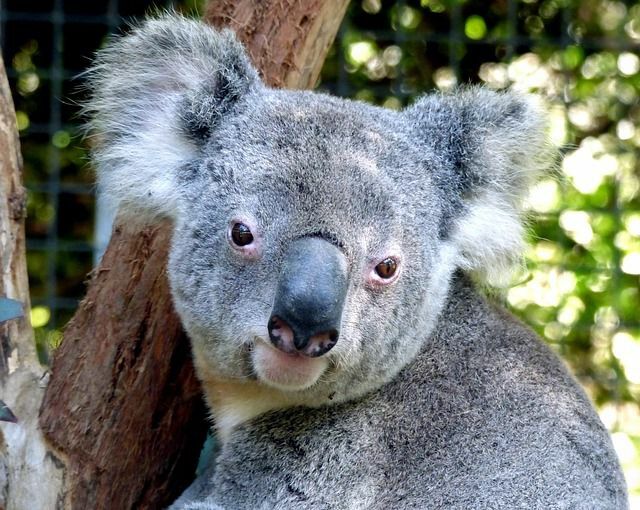 A koala’s brain is much smaller compared to his digestive system. It is because of their diet of eucalyptus leaves that they have bigger digestive system to help digest the toxic leaves. Their small brains can be attributed to low energy requirements which isn’t met via their food. Male koalas exhibit territorial nature during the breeding season. They bellow and grasp the base of the tree and rub their chest against it to leave their scent on it. Females also bellow but they do not display territorial behaviour. A koala’s baby is known as “joey”, “cub” “back young” and “pouch young”. They are born without any fur and are only 2 centimeters long, which is approximately the size of a jellybean. For the first six months, they live in their mother’s pouch and feed from it. There are less that 80,000 koalas left in Australia. The most eminent threat to them is the loss of habitat due to land clearing, bushfires and diseases of the eucalyptus trees like ‘dieback’ in which the tree dies.